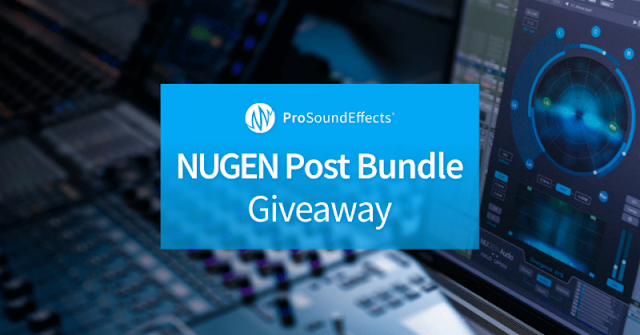 BROOKLYN, NY (August 28, 2018) - Pro Sound Effects® (PSE), the next level sound effects library company, has partnered with NUGEN Audio to launch the NUGEN Post Bundle Giveaway. Valued at over $2,000, the NUGEN Post Bundle delivers 11 must-have audio plug-ins that are crucial to delivering industry standard quality sound for broadcast, film and game production. With a wide range of audio tools that help ensure quality, compliance and creativity through every stage of the audio post production process, the NUGEN Post Bundle includes a comprehensive loudness solution, leading upmix and downmix tools, a complete audio analysis suite, transparent auto-match EQ, and 3 stereo control plug-ins. The giveaway is open now through Thursday, September 6th. Entrants can increase their chances of winning by gaining three extra entries for each referral. Winners will be selected and announced on Monday, September 10th. Sound professionals in all positions throughout film, television, game audio, and broadcast - sound designers, sound editors, audio engineers, and anyone looking to boost their toolset with industry-standard audio tools. Entry is simple with the response of a qualifying question. Visit https://bit.ly/2BRDpC3 to enter and for more information. 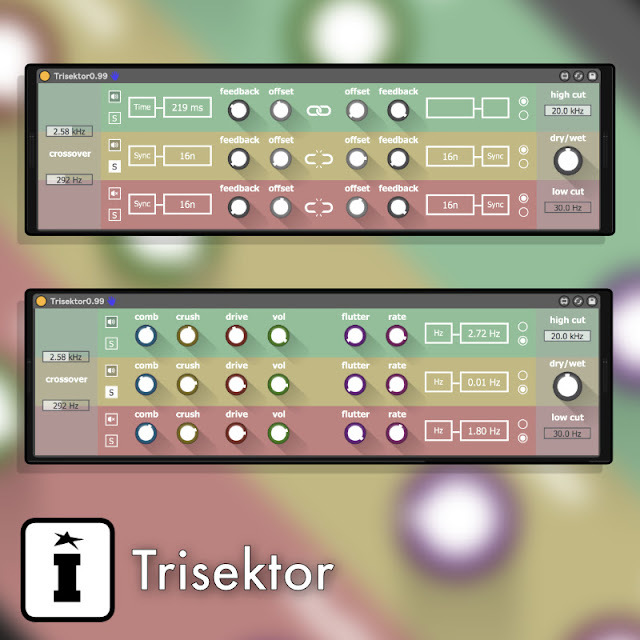 August 30, 2018 - IK Multimedia has released a dedicated software editor for its first hardware synth, the true analog UNO Synth. 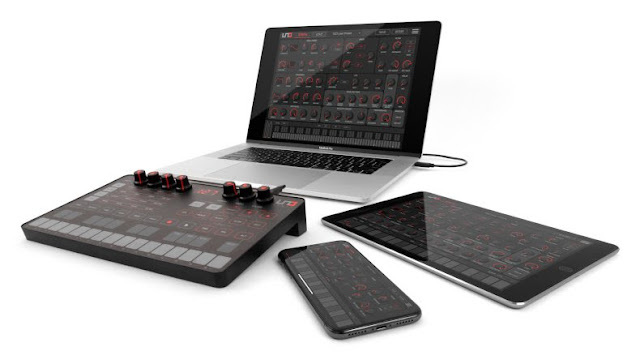 Designed to offer deep control, the editor provides easy access to all parameters and provides advanced music making capabilities beyond the UNO Synth's compact front panel, with convenient support for Mac/PC and iOS devices. 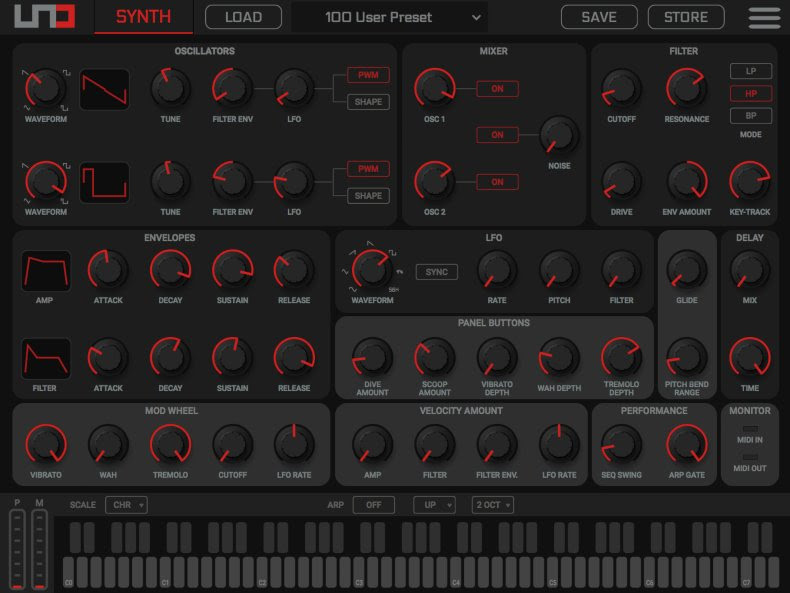 Beyond traditional software editors, the UNO Synth editor offers the ability to function both as a standalone application (Mac/PC/iOS) and an integrated DAW plug-in with total recall (Mac/PC), for use in the studio, live performance or on-the-go music creation. It provides seamless integration and control of every parameter, and allows for easy customization of presets and for preference editing. 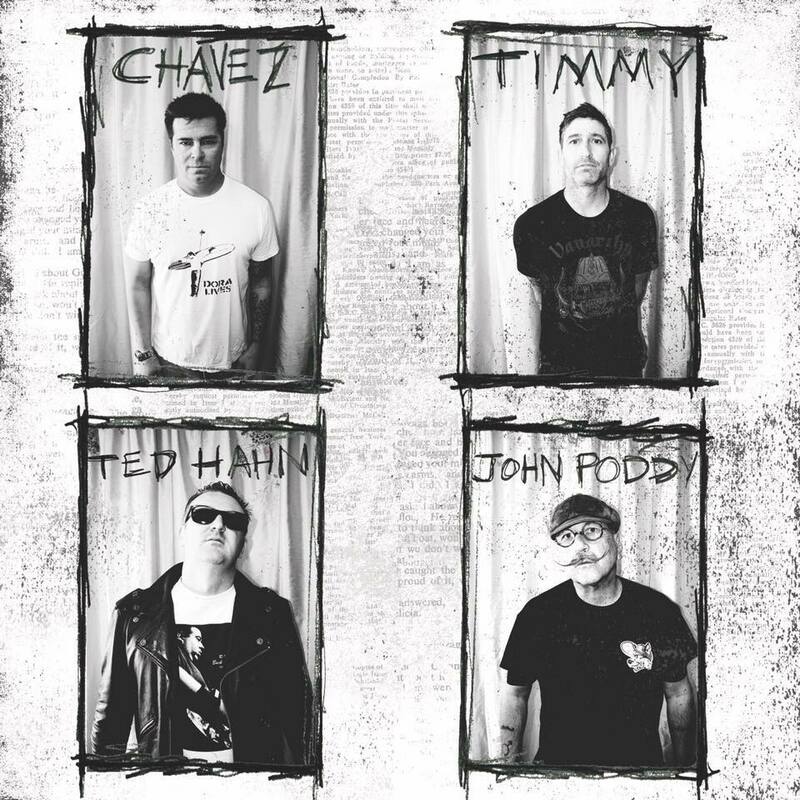 "Cynically Popular" out now! & to be obtained here. Los Angeles, August 27, 2018: YOSHIKI stunned an invitation-only audience at Hollywood & Highland with an emotional musical performance at the Japan House Los Angeles grand opening ceremony on Friday, August 24th. George Takei acted as the master of ceremonies, Los Angeles Mayor, Eric Garcetti delivered a moving address and numerous Japanese and U.S. government officials were in attendance, including Japanese Foreign Minister, Tarō Konō. An impressive lineup of guests assembled to hear YOSHIKI’s performance, including Hollywood elite such as Josh Groban and Aida Takla O’Reilly, former President of the Hollywood Foreign Press Association which administers the Golden Globe Awards. YOSHIKI and Josh Groban arrive at the Japan House Los Angeles opening. Japan House Los Angeles is a premiere venue designed to showcase Japan’s art, culture, business, technology, and entertainment while strengthening cultural ties between Japan and the world. YOSHIKI serves as an advisor for Japan House along with honorary advisor Larry Ellison (Oracle). With facilities in London and São Paulo, this was the first time Japan House opened its doors in Los Angeles. 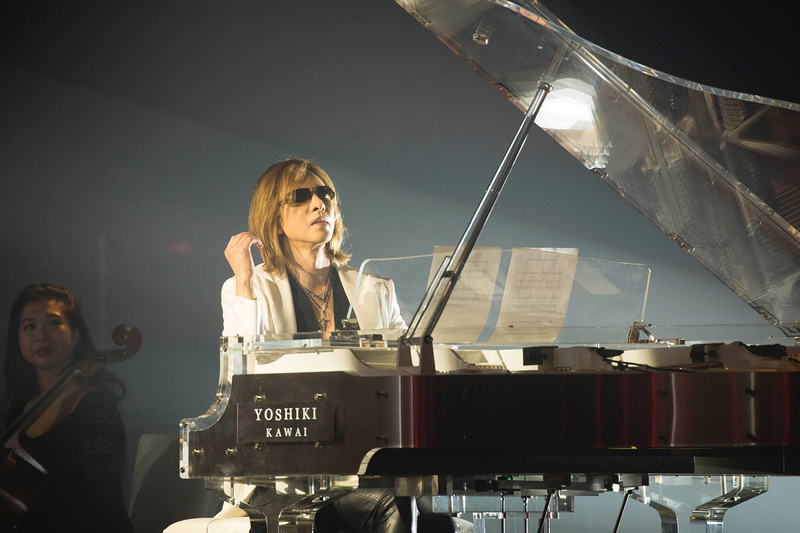 After finishing his performance in Hollywood, YOSHIKI headed directly to the airport so that he could arrive in Japan for a live appearance on “24 Hour TV” on the 26th, after which appeared on a special episode on YOSHIKI CHANNEL. Immediately after the broadcasts, he will prepare for 3 new performances of his dinner show, “EVENING WITH YOSHIKI 2018 IN TOKYO JAPAN 6 DAYS 5TH YEAR ANNIVERSARY SPECIAL” and on September 15th he will perform with X JAPAN at the TV Asahi Dream Festival. Following that, he will undertake “X JAPAN LIVE IN JAPAN 2018 THREE DEEP RED NIGHTS AT MAKUHARI MESSE” September 28-30, the largest X JAPAN concerts in 8 years. We are a California-based non-profit determined to foster the great legacy of music education by providing scholarships and grants for high school students and music programs. 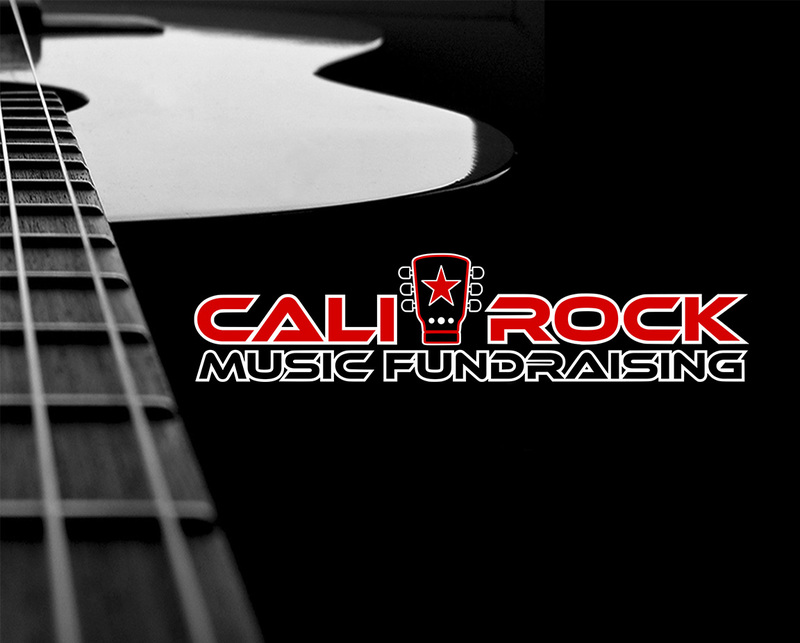 Through private and business contributions, fundraising, and benefit concerts, CALI*ROCK strives to address the dramatic decrease in school funding for music education. have created another amazing live effect for the stage! August 8, 2018 — Dance your way across the turquoise waters of the Caribbean with Groove Cruise Miami which announces Phase I of their highly-anticipated 2019 lineup today. 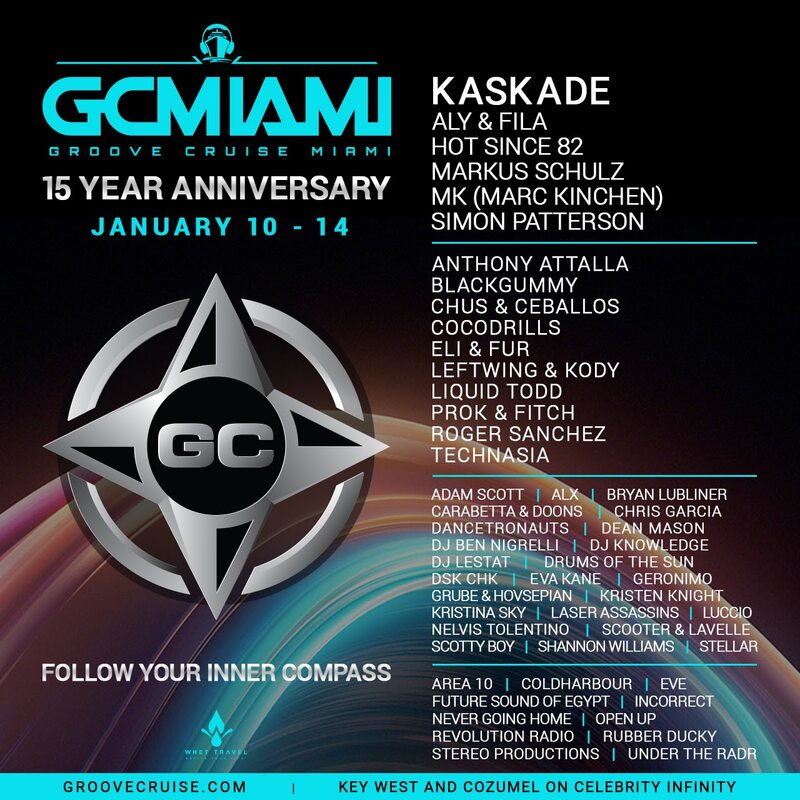 Setting sail on the deluxe Celebrity Infinity next January 10th - 14th, 2019, Groove Cruise Miami will offer up an array of electronic music legends and up-and-coming acts, primed to deliver the best in house, trance and techno. Don’t miss this opportunity to dance, discover, and follow your inner compass to an experience of a lifetime. 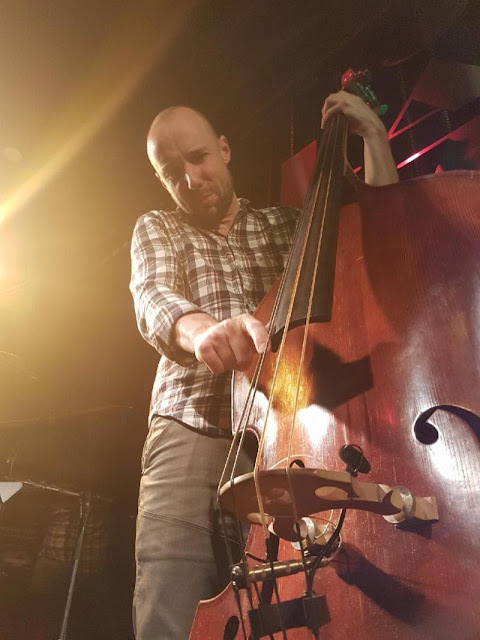 ALLEROED, DENMARK, AUGUST 7, 2018 - Internationally acclaimed bassist, Sam Anning has long been a user of DPA Microphones. After replacing his legacy d:vote™ 4099B Instrument Microphone for the new d:vote™ CORE 4099B Instrument Microphone, the Australian musician says he is hugely impressed with the sound he is now achieving from the CORE by DPA technology. "I came across DPA Microphones a few years ago while touring around festivals in Europe and my first encounter with the d:vote 4099B was one of the those eureka moments," says Anning. "As a performer, it's very vindicating when someone comes up with a well thought out and brilliantly designed answer to honestly capturing and transmitting the sound that you spend years in the practice room finessing. DPA's d:vote 4099B does just that - and now, with the new CORE by DPA technology, it is even better." Anning recently used the d:vote CORE on his double bass for an Australian live-to-air national radio show with Maceo Parker, Gretchen Parlato, Terri Lyne Carrington and Barney McAll. "It sounded incredibly natural and isolated, in a good way, from the other instruments," he says. "I'm now looking forward to seeing how my old Martin guitar sounds when I use it with the d:vote CORE 4099B on my song writing projects." Trisektor is a MaxforLive effect for Ableton Live featuring dub style flutter effects, distortion, bitcrush, and a modulated comb filter. Create everything from subtle spatial dynamics to full on psychedelic freak out! With the left hand side of the device you can set the high and low crossover frequencies to split the audio into 3 frequency bands. Then you can finish off at the right hand side by setting a final frequency range at the end of the signal chain and the dry/wet balance for the audio output. Band Output – Each band can be muted by turning this off. Solo – Set a band to solo to focus in on that frequency band. Delay Time – Set the delay time in ms or sync intervals. In linked channel mode the left delay time will set for both stereo channels. Offset – Create width in the output by offsetting one channel. These controls work even when the left and right channel are linked. Feedback – Set the level of delay feedback. In linked mode the left control will set the output for both channels. Link Channels – Link the channels to give the left and right channel the same feedback amount and delay time. The offset dial will still work to allow for creating width. Today is the launch of the new hit game, "Electronauts" by Survios. It features The Chainsmokers, Steve Aoki, Tiesto, Tokimonsta, and many more artists that you can play along too or make your own music within the game! San Francisco, CA - July 31, 2018– Women’s Audio Mission (WAM), a San Francisco Bay Area-based nonprofit dedicated to advancing women in music production and the recording arts, is celebrating 15 years of training over 12,000 women and girls in the recording arts with a benefit concert at Brava Theater on September 21, 2018. The concert will feature performances by R&B/pop artists, St. Beauty, currently touring with Janelle Monáe, and Mexican American singer/songwriter Diana Gameros, as well as a cocktail reception with a DJ set by Chulita Vinyl Club. The event is a fundraiser for WAM’s training programs, which reach the Bay Area’s most vulnerable communities (96% are low income, 91% are girls of color). Funds generated will help WAM reach their goal of training 3,000 women/girls in the recording arts by 2020 in San Francisco and Oakland, as well as expand services to underserved artists in WAM’s recording studio, the only one in the world built and run entirely by women. WAM’s 15 Year Anniversary party will feature a live auction, live performances, pre and post-concert receptions, and a special meet-and-greet with the performers for VIP ticket holders. 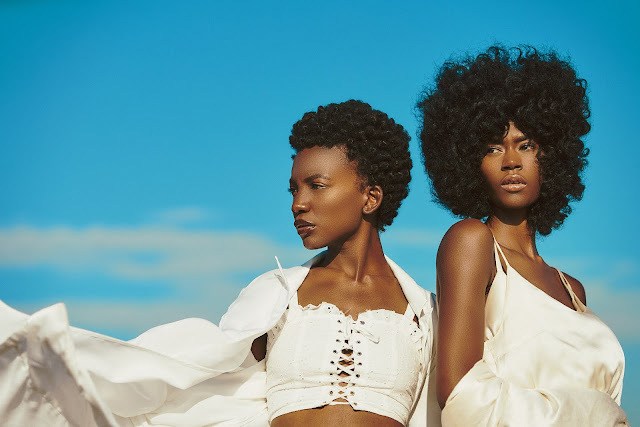 St. Beauty is part of the renowned artistic collective, Wondaland Art Society, which boasts artists like Janelle Monáe and Jidenna on its roster, and their music was recently featured on the HBO hit show, Insecure. Diana Gameros has quickly caught the attention of national media – her latest album, Arullo, recorded at WAM, was covered by Billboard, Mother Jones, NPR, and more. 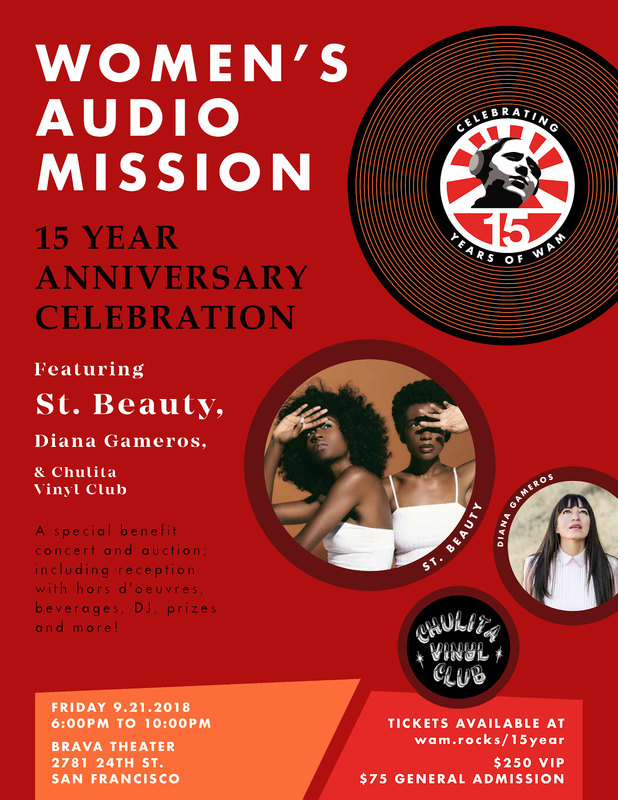 Learn more about the event and purchase tickets here: Women’s Audio Mission 15 Year Anniversary. 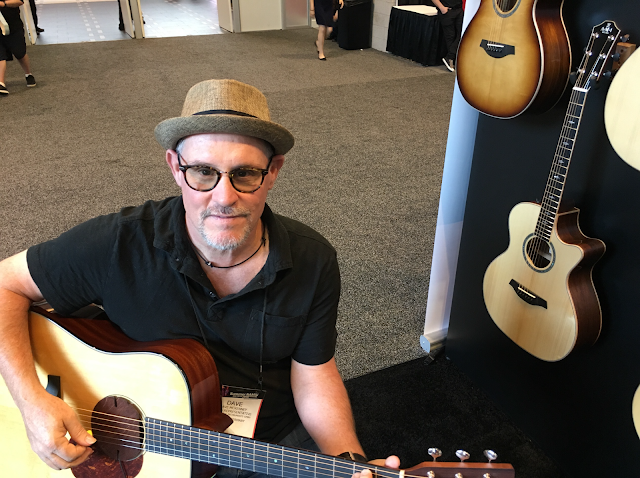 At this summer’s NAMM Show in Nashville, Your Heaven Audio premiered it’s latest in acoustic instrument amplification tech. There were two new products that Your Heaven Premiered first was the new OEM version, which is a built-in system for guitars with a digital interface so manufacturers can pre-build it in the plant. The second product (which will be launching next week) was a version that dealers can then install on any acoustic guitar now keeping it more streamlined with a wireless direct out of the main. 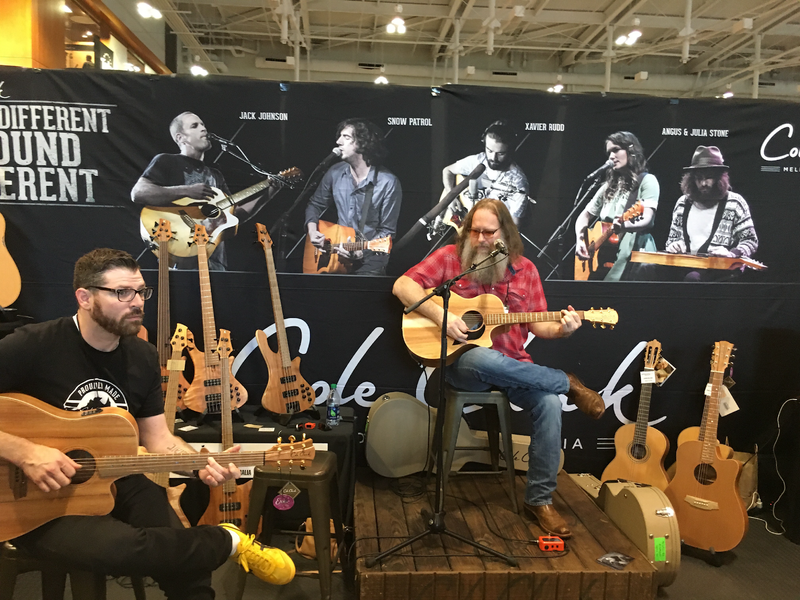 The team met with various acoustic guitar makers and created custom profiles per guitar brand and then demoed Your Heaven on each manufacturer’s guitar. While the show's environment at NAMM was incredibly loud, everyone was still able to easily discern it was producing a natural sound with almost no other audio interference.